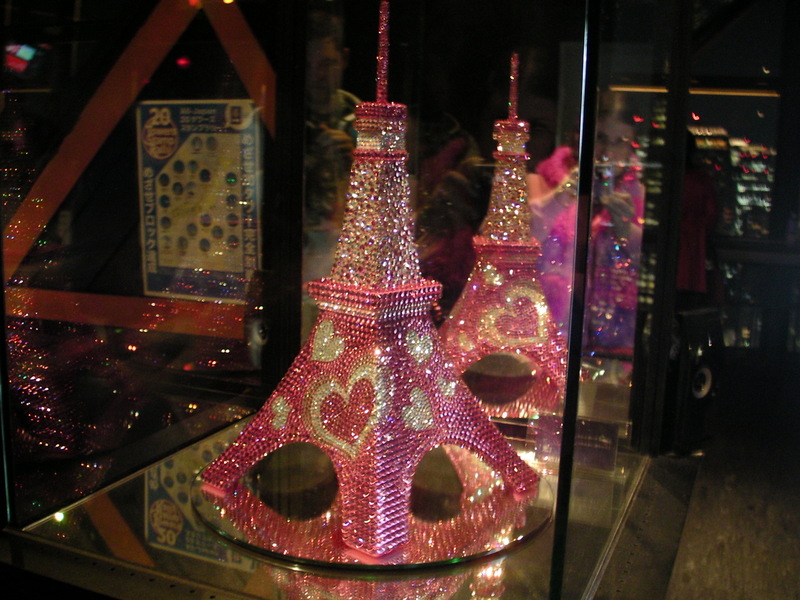 Tokyo Tower | The Badical One. 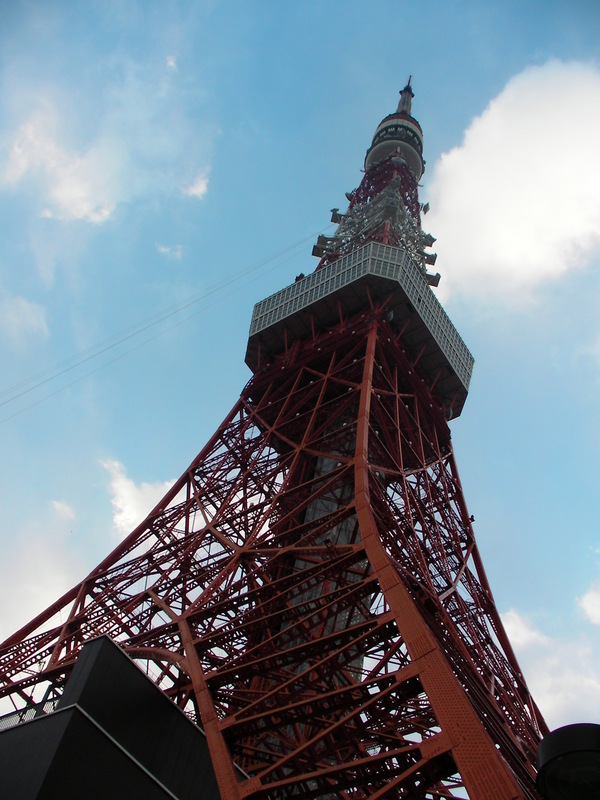 So what would a trip to Tokyo be without visiting the Tokyo Tower? Not a very good one! After seeing this world icon for years in pictures, videos, and various movies it was really great to actually see it in person and be able to get a view of the city. 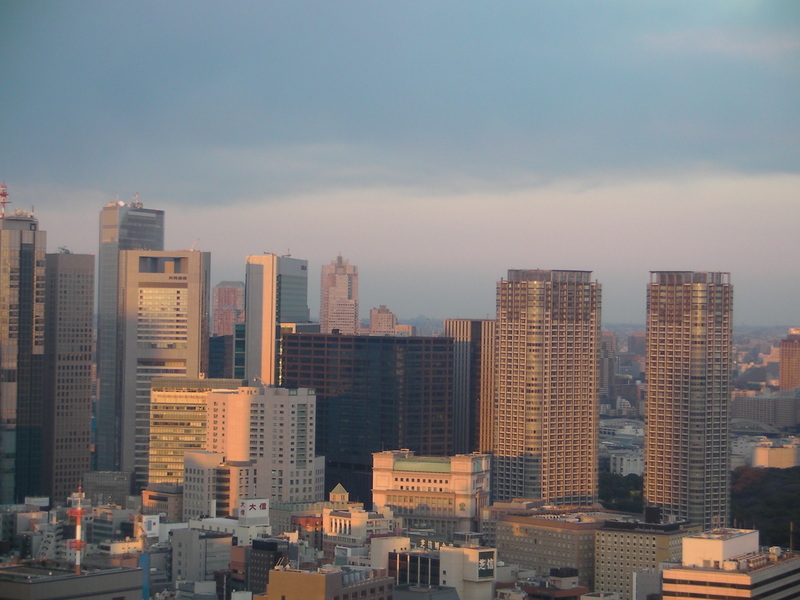 It was a pretty dominating figure in the horizon from most places that you could see it from in Tokyo. Walking up to it was no exception, you almost wanted to fall over from having to look up so high. 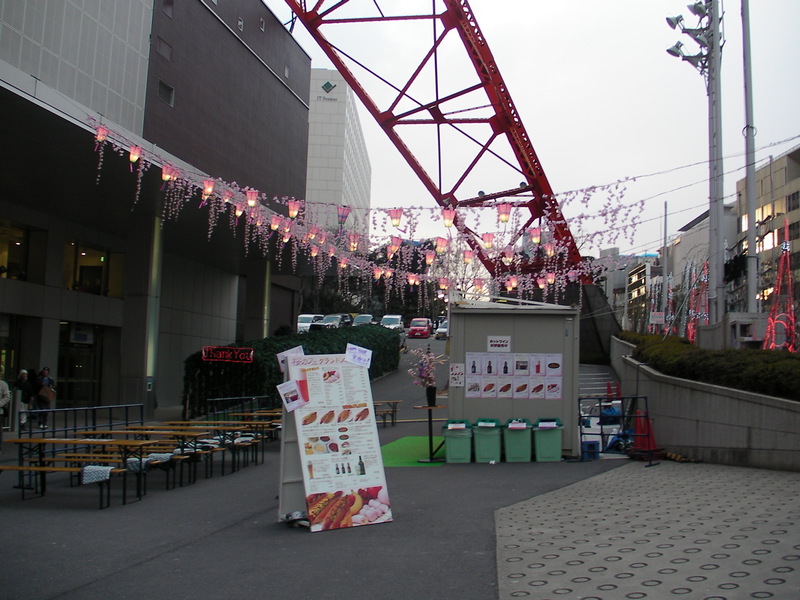 This is down at the entrance, they had a little food stand out front. 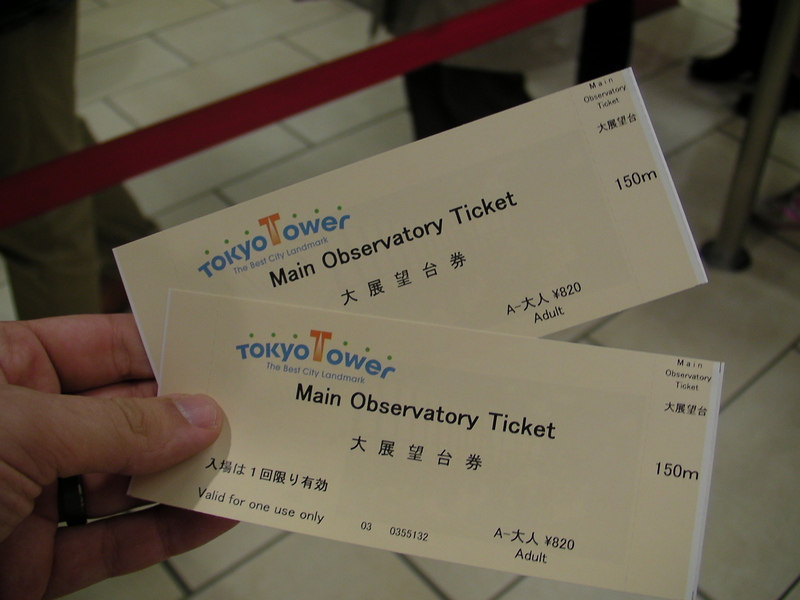 We got tickets to go up to the main observatory, as you can see it says it is 150 meters up. 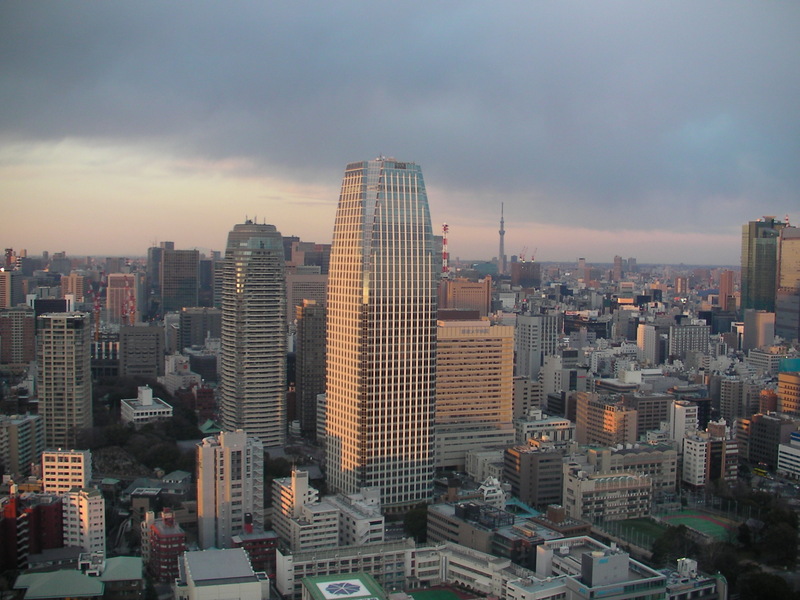 You can see the Skytree in the background, I believe the grand opening for it was going to be the week after we left. Its interesting because its hard to actually see any of the streets from up here because the buildings are sooooo tall. 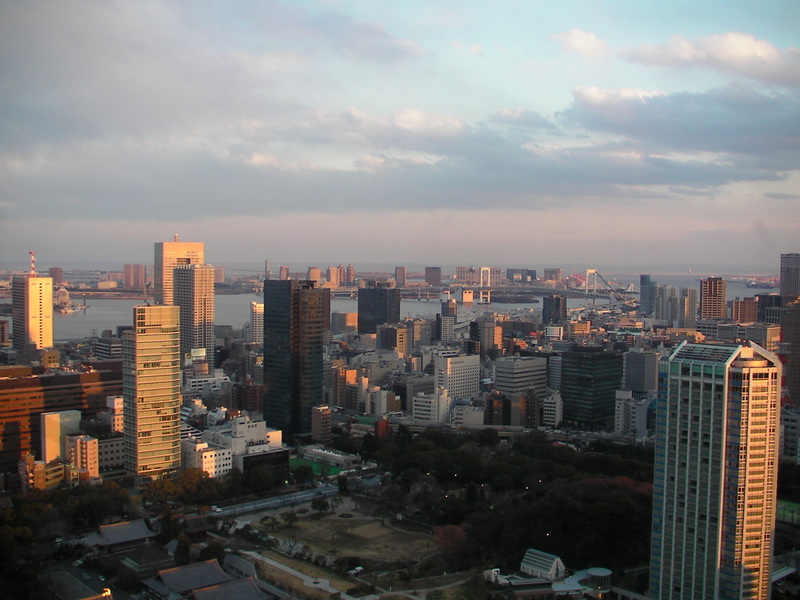 You can see Odaiba in the background. 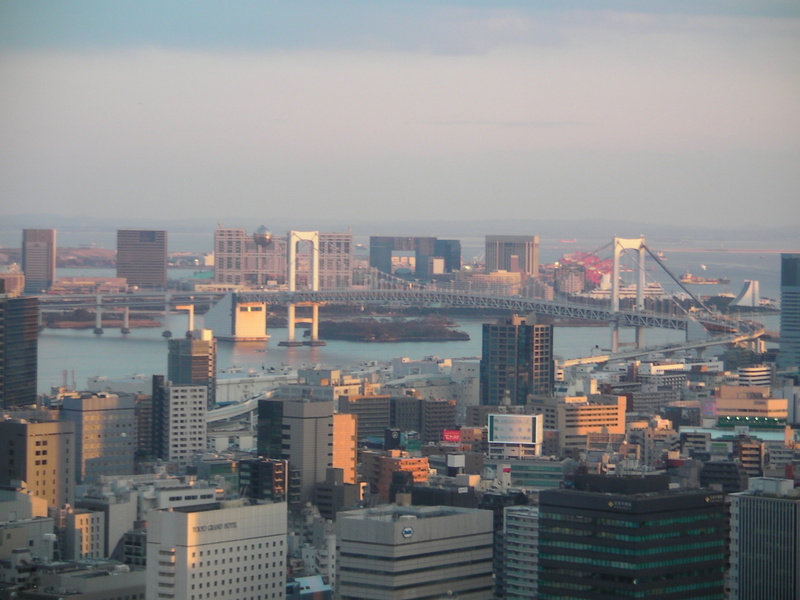 A closer shot of Odaiba and the Rainbow bridge, later on when it got dark it was glowing with color, it was harder to take a picture of it at night but I did take a video or two Ill post in a separate post. 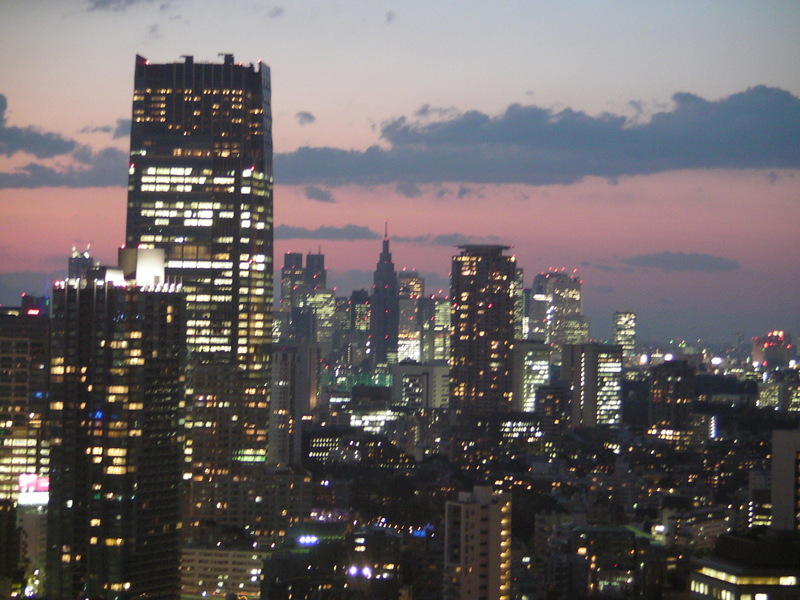 Some more cityscape as the sun was going down. 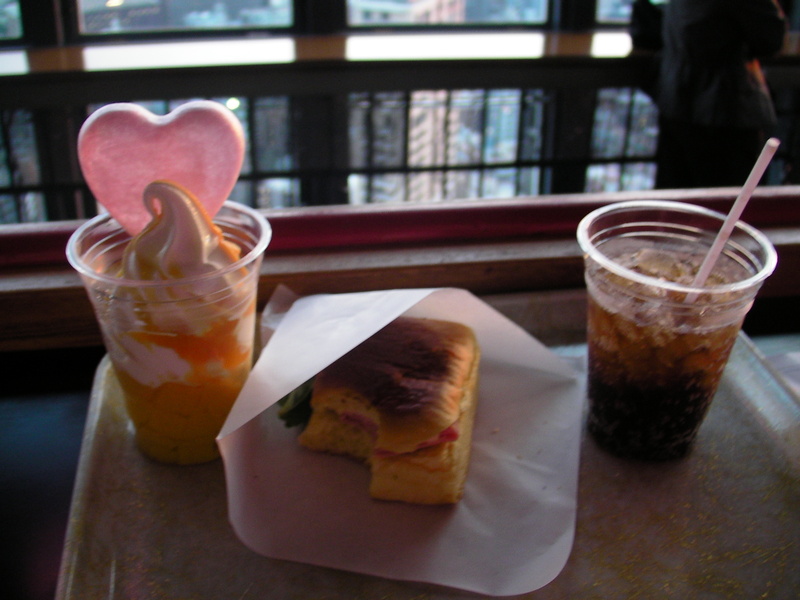 They also had a little cafe up in the observatory, it was nice to just sit and watch the sun set. The lights started to come on around the city. This was a pretty interesting piece they had inside. This was a little monument that a lot of couples were getting their picture at, so we did too! 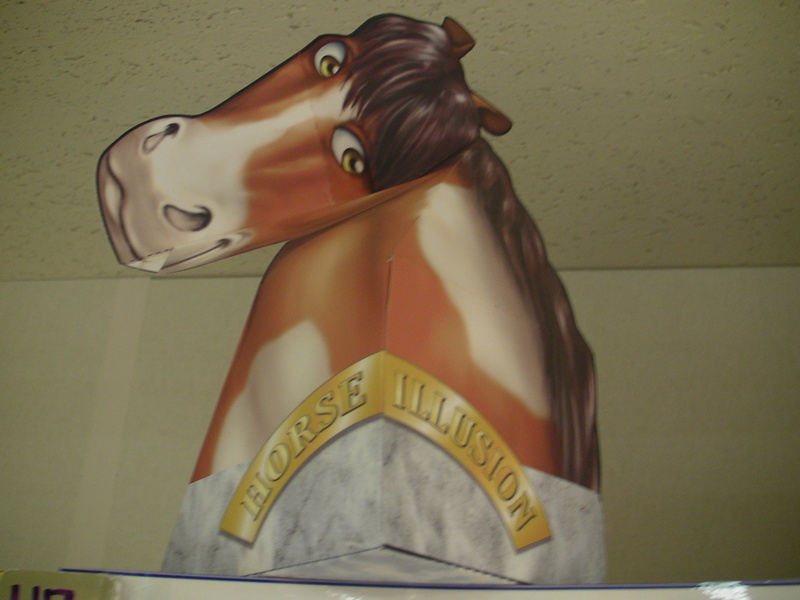 Annnnd we saw this on the way out, nooooooooooooooo cluuuuuuuuuuuuuuuue. It looked amazing at night, I would definitely recommend anyone that wanted to go check out the Tower if your schedule allows it to go near the evening, then you can see everything in the daytime as well as at night. 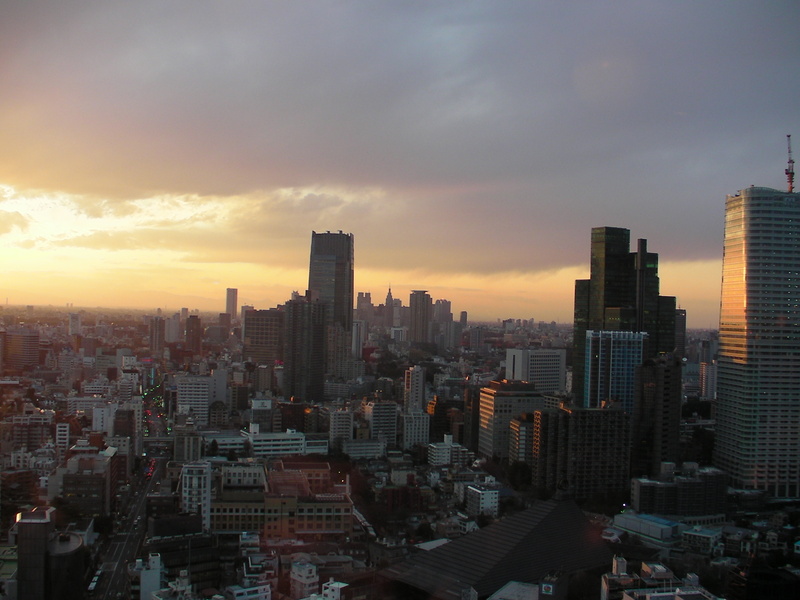 Posted by brianbadical on April 13, 2013 in Uncategorized and tagged city scape, horse, Japan, monuments, Odaiba, sunset, Tokyo, Tokyo Tower. Nice pics. 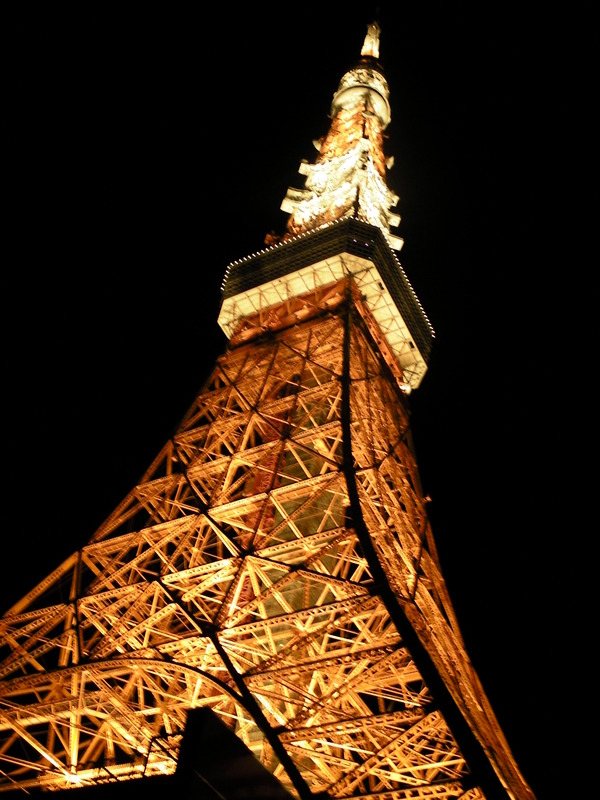 I visited the Tokyo Tower recently. The view from there is best at night!